Having already given you a tour of Italy’s most interesting paper museums this summer, today we’ve decided to take you a bit further north to the birthplace of one of the most important inventions of the modern era: printing. As you may have guessed, we’re in Germany. It was here, in the city of Mainz, around the middle of the fifteenth century, that goldsmith Johannes Gutenberg printed the first copies of the Bible. He did so using matrices in which he set – and covered with ink – movable type: blocks of metal that he created using a particularly durable alloy of lead, tin and ammonium. 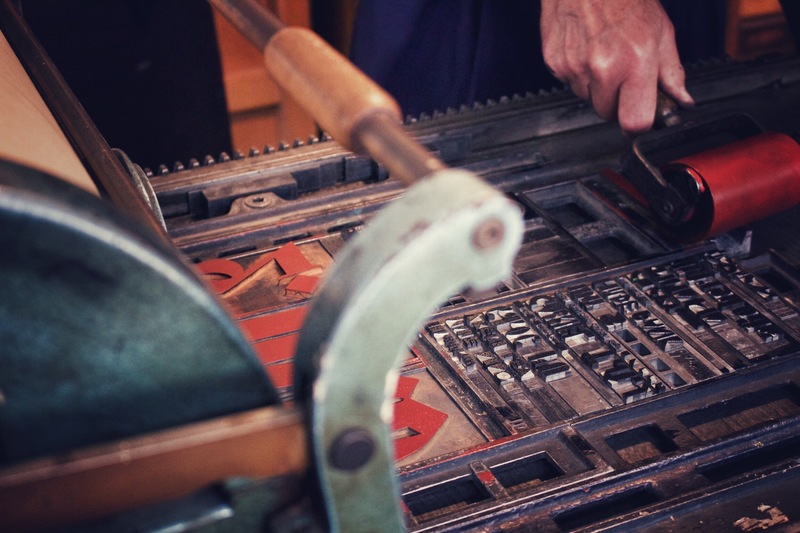 Following the invention of movable-type printing, innovations came thick and fast, increasing the speed and quality of printing and leading to the evolution of typography and printing. 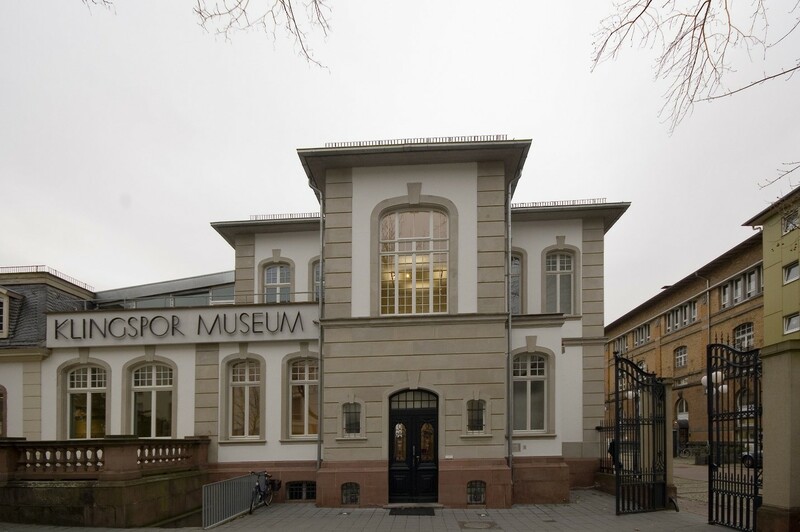 We take you on a journey that explores this history and recommend the five most important printing museums in Germany: from Mainz to Leipzig, via Weimar, Offenbach and Hamburg. The birthplace of Johannes Gutenberg simply had to have a museum dedicated to its illustrious citizen and his invention. Perhaps his fellow citizens felt they had to atone for the fact that Gutenberg died alone and penniless in the city, because in 1900 – 500 years after his birth – the Gutenberg Museum was founded in Mainz. 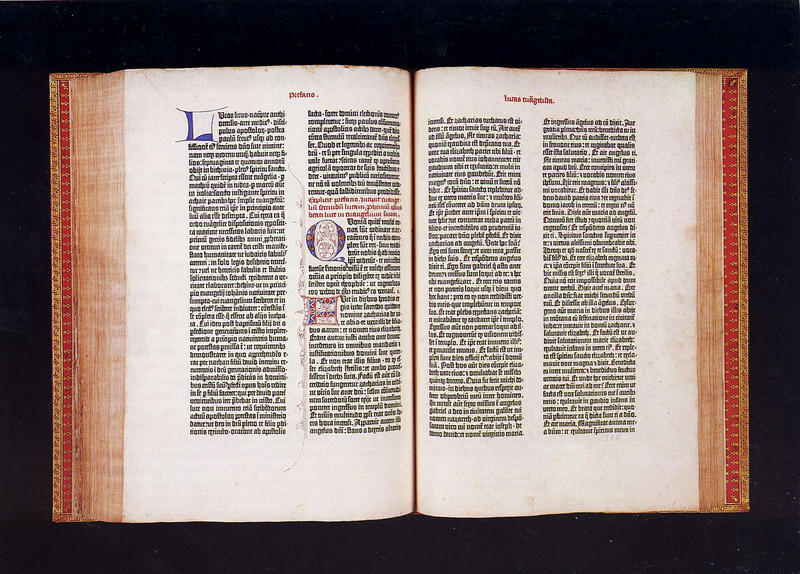 Today, the museum holds two extremely valuable copies of the Bible printed by Gutenberg. A reconstruction of Gutenberg’s workshop allows you to see the original printing techniques that he used. 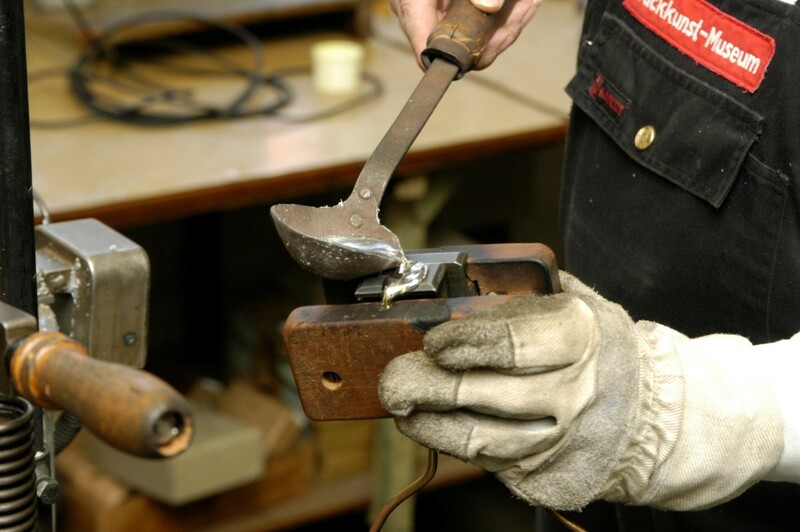 The museum is also home to printing presses and other tools from different eras and parts of the world. Check out the library holding a special collection of bookplates, rare and valuable editions and art books. Let’s leave the banks of the Rhine and head east. We’re in Leipzig, the Saxon city with a long tradition of printing and publishing. It was to this busy trade hub that, in the mid-eighteenth century, the German book trade moved, spurring a rapid development of the publishing industry in the city. This is just one reason why Leipzig is home to the Museum of the Printing Arts. Almost all the 100 or so printing machines and presses preserved in the museum are still working and they are used to show visitors the most important printing techniques, like embossing and planographic printing (lithography, for example). Interesting fact: here you can watch them make, by hand or machine, an actual character: the block made from type metal used for printing. Let’s head back to the heart of Germany. We’re in Offenbach, just outside Frankfurt, which today is a major publishing centre thanks to the Frankfurt Book Fair, Europe’s largest. Created in 1953 from the private library and collection of Klingspor Type Foundry, which specialised in making typefaces, today the Klingspor Museum is an important centre for 20th and 21st century printing, typography and calligraphy. Of particular interest is the enormous collection of typefaces which includes creations by some of the greatest German typographers like Paul Renner (inventor of the Futura font), Georg Trump, Jan Tschichold, Hermann Zapf and Adrian Frutiger. So huge is the collection that only part of it is available to the public from time to time. We, therefore, recommend looking at the extensive programme of temporary exhibitions, so you know what to expect. Weimar is immediately associated with the Bauhaus art school. But here we’re going to talk about the Pavillon-Presse, an original printing museum in the heart of the city. The museum’s name actually comes from the building next door: a magnificent rococo-style pavilion. In the same area, there once stood an old print works. Indeed, from the second half of the nineteenth century onwards, the area was a thriving centre for printing and publishing, right up to German reunification in 1989/90. The museum has a large collection of wooden and metal typefaces, some working printing presses and an extensive specialist library. We recommend the guided tours (in German and English) which, through period objects and tools, tell the story of printing’s growth from the 15th century onwards. The enormous Museum of Work in Hamburg has a large section dedicated to the art of printing: just hop up to the building’s first floor. Through genuine rarities – like a wooden screw press dating to 1780 or the Columbia, an iron manual press with a complex system of weights and levers for increasing the pressure exerted by the machine – the collection explains how mechanisation affected the work of the printer. 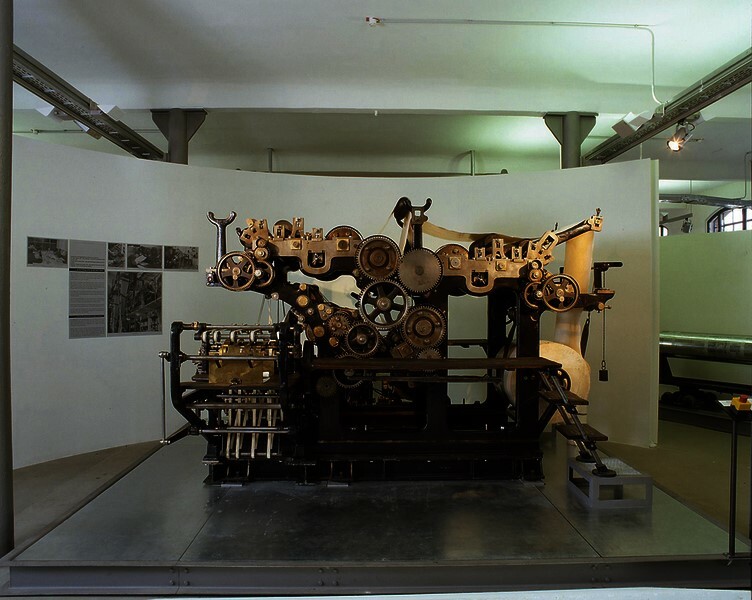 From the museum, via a webcam, you can watch a live feed of “Maschine 2”, a 3.64-metre-wide printing press that in one hour gets through roughly 12 tonnes of paper, printing an area of 196,560 m², the equivalent of about 27 football pitches. The sheets of paper travel at speeds of up to 60 km/h through the machine. This “print monster” lives at the nearby Ahrensburg print works, which is owned by Prinovis, a Hamburg-based printing firm.